Fragrance is always a good place so start because it is a real treat and something that a lot of people don't buy for themselves and luckily, Debenhams currently have £10 or €10 off a selection of fragrances. 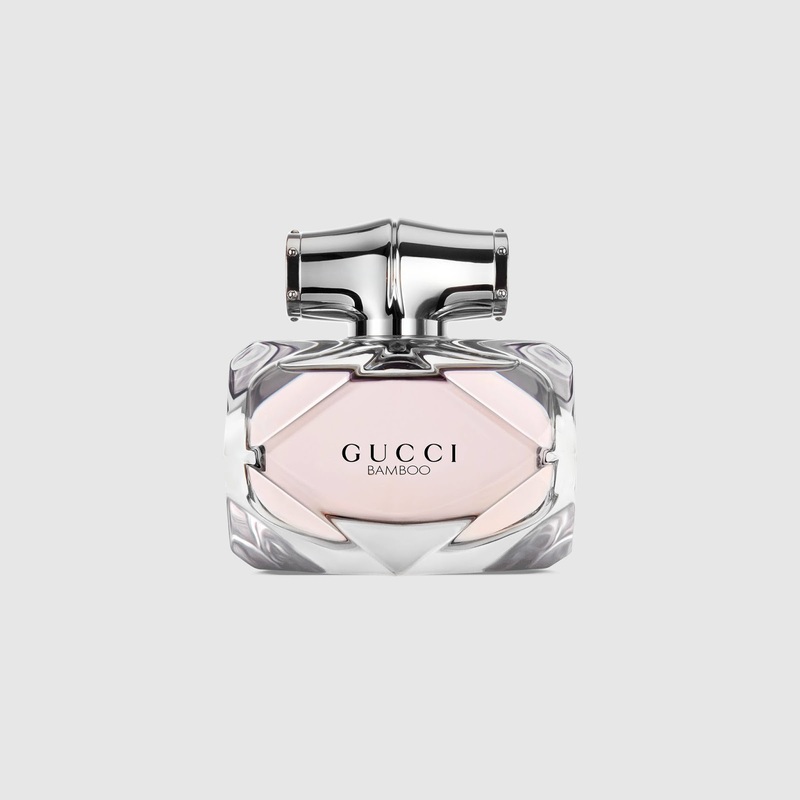 My recommendations are Gucci Bamboo EDP, which is a very beautiful, floral, feminine fragrance. It isn't too over-powering but is delicately warm due to the inclusion of vanilla. Also, the bottle will look stunning on her dressing table. This is currently reduced from £68 to £58 or from €90 to €80 in Ireland. 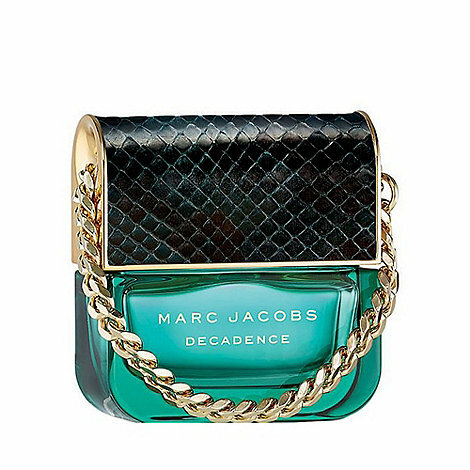 For those who prefer a more intense fragrance, I would recommend Marc Jacobs Decadence, which is a very sophisticated warm, woody scent. Again, it is housed in a stunning bottle, shaped like a handbag with a gold chain and it screams luxury. This is currently reduced from £69 to £59 or €87.60 to €77.60 in Ireland. 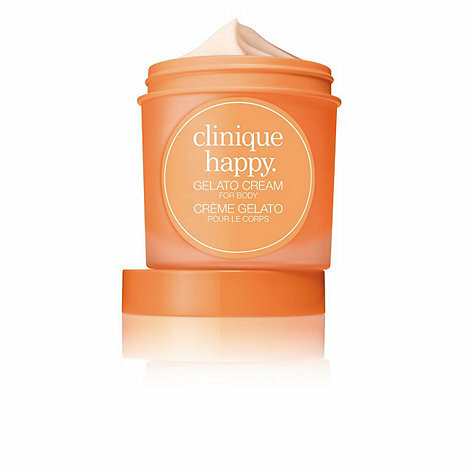 Staying with the fragrance them but not an actual perfume, I would highly recommend the new Clinique Happy Gelato Body Cream, which has a beautiful citrus and light floral scent and is a beautiful rich texture to ensure the body is deeply moisturised and nourished. A fragranced body cream is a great way to make a scent last longer when layered with perfume but is also a good option for those who don't like to wear perfume but still want to wear something scented. This body cream is priced at £28 or €38 in Ireland. 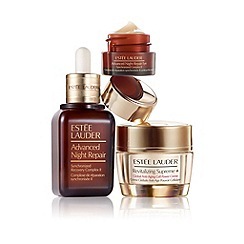 For skincare loving mothers, I highly, highly recommend the Estée Lauder Advanced Night Repair Global Anti-Ageing Gift Set, which contains a full size Advanced Night Repair serum, and generous sample sizes of Advanced Night Repair Eye Synchronized Complex and Revitalizing Supreme+ Cell Power Cream. This serum is perfect for all skin types - it heals, hydrates, firms, nourishes, repairs and plumps the skin. This is priced at £50. 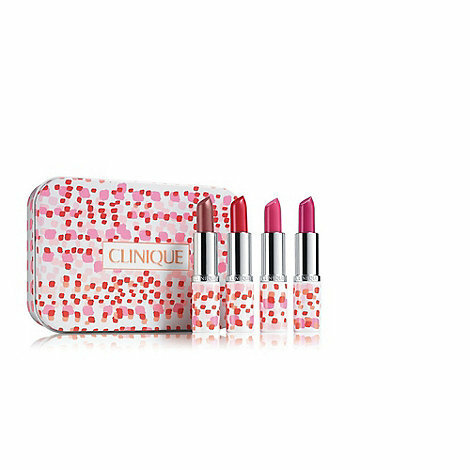 For makeup lovers, this Clinique Kisses Gift Set would be perfect as it contains a shade for every occasion, the packaging is adorable and they come in a tin set with the same pattern. Clinique lipsticks are creamy and very comfortable to wear. This set is priced at £25 or €30 in Ireland. 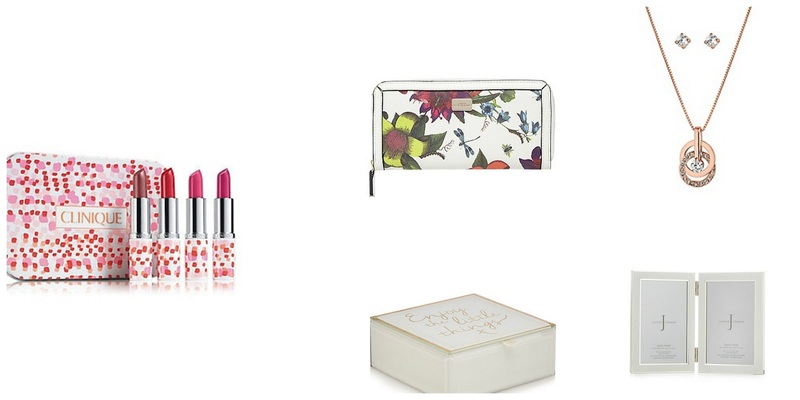 Moving on from beauty, Debenhams have a beautiful range of homeware gifts and I have chosen some of my favourites to share with you. 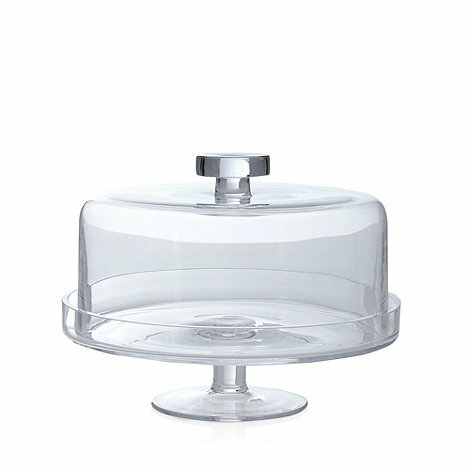 This J By Jasper Conran Glass Cake Stand With Lid is a beautiful gift (especially if you give it with a cake inside!) because it would look stunning as a centrepiece on the kitchen table or on the worktop in any kitchen and it will help to keep cakes fresher for longer than a regular cake stand, due to the lid. I know that I would love to receive this! It is currently reduced from £60 to £48 or €90 to €72. An inexpensive, yet really adorable gift that caught my eye is this Butterfly Home by Matthew Williamson Glass "Enjoy the little things" Slogan Box, which is perfect for jewellery or for change or any sort of trinket (also as a blog prop!). 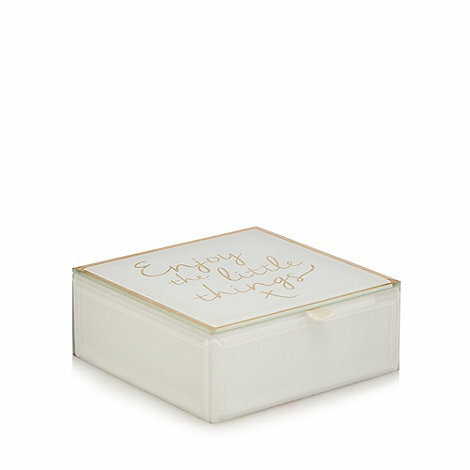 It is a glass box and the slogan is in gold writing - of course the quote is particularly apt for Mother's Day as enjoying the little things with loved ones is what life is all about. This is priced at £15 or €22. 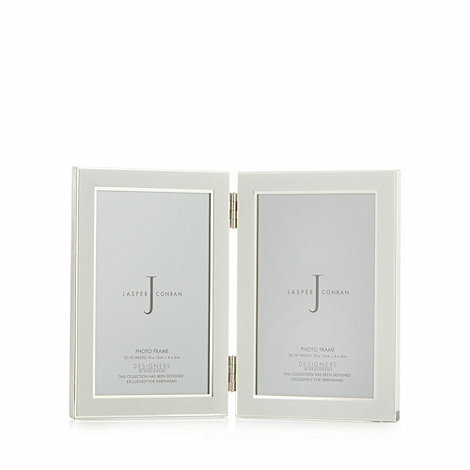 A frame for a family photo is always a welcome gift and this J By Jasper Conran Designer Cream Enamel Double Hinge Photo Frame is perfect because it has space for two 4 X 6 inch photos and is self-standing so there is no hammering of nails required. Also the understated, yet elegant design will look good in any room. This is priced at £25 or €38. 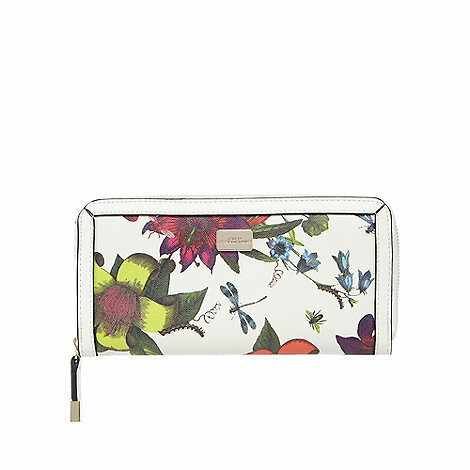 I think this Star By Julien McDonald White Floral Zip Around Wallet is the perfect way to inject some Spring into your Mum's life. It is made from hard wearing polyurethane and has 16 card slots and the design is just so pretty. This is priced at £20 or €30.40. 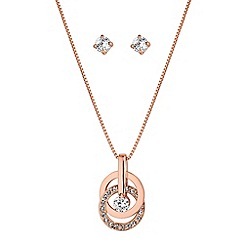 This Jon Richard Rose Gold Crystal Multi Circle Necklace and Earring Set is a bargain at only £12. The necklace and earrings are presented in a gift box and the elegant jewellery looks so much more expensive than it actually is. If at this stage, you are still unsure what to give then why not but a Gift Card and let your Mum choose something herself? She may have her eye on something already and you don't need to worry about choosing the right size/design or scent. 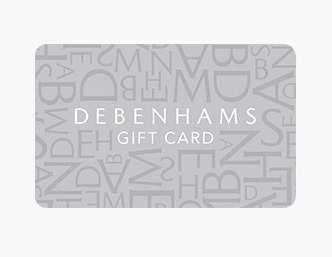 Gift Cards can be used in all departments both in store and online so you really can'y go wrong with one! I hope you have found some inspiration here today and remember that there is next day delivery available or you can choose next day Click & Collect if you have a store near you. Also don't forget to use your reward card to earn points which you can send at a later date! Are you a last minute shopper? What are your plans for Mother's Day? I would love to hear in the comments below! All products are bought by me, unless otherwise stated. This post is written in collaboration with Debenhams but all product choices are my own. Opinion is always my own.